This 2nd-Basic Mew Gull Larus canus brachyrhynchus below was present intermittently in eastern Fort Worth throughout December 1998, and at least until early February 1999. Mew Gull - One adult at White Rock Lake, Dallas, on 6 December 1995 (GHo; 1995-158). One at White Rock Lake, Dallas, on 22 November 1996 (RR; 1996-158). Mew Gull - (15). One at Village Creek Wastewater Plant, Tarrant, from 3 December 1998 to 2 February 1999 (MR; 1999-2; TPRF 1801). Mew Gull - One at Fort Worth, Tarrant, from 13-16 December 2000 (MR; 2001-25; TPRF 1865). Mew Gull -One at Lake Worth, Tarrant, from 23-24 January 2001 (MR; 2001-29; TPRF 1866). Mew Gull - One adult at Fort Worth, Tarrant, from 25 November-27 December 2002 (MR, CC; 2003-24; TPRF 2084). 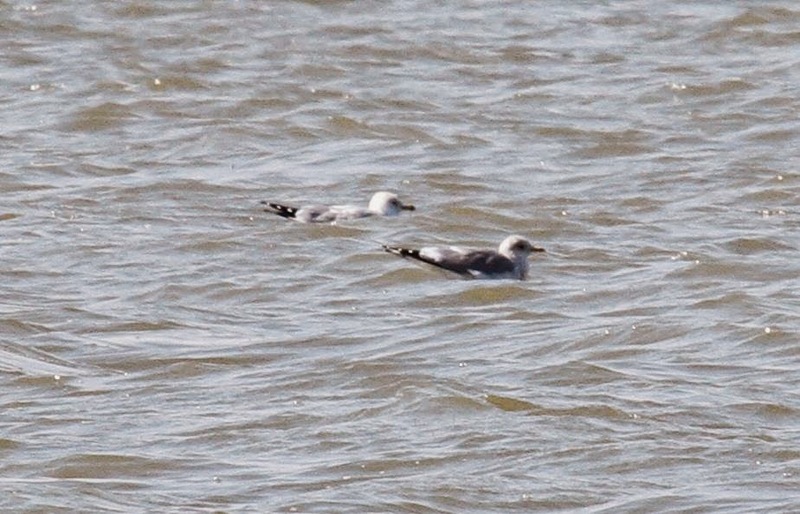 Mew Gull - One second-year bird at Fort Worth, Tarrant, on 16 February 2003 (MR; 2003-25; TPRF 2085). Mew Gull - One adult at Lake Worth, Tarrant, from 3-5 January 2004 (MRe; 2004-22; TPRF 2188). Mew Gull - One adult at Lake Worth, Forth Worth, Tarrant, from 31 December 2005-7 January 2006 (LBa; 2006-20; TPRF 2372).